Have you ever wanted to explore some of mysteries of Jurassic Park? Maybe even interact with some of these once-extinct creatures? 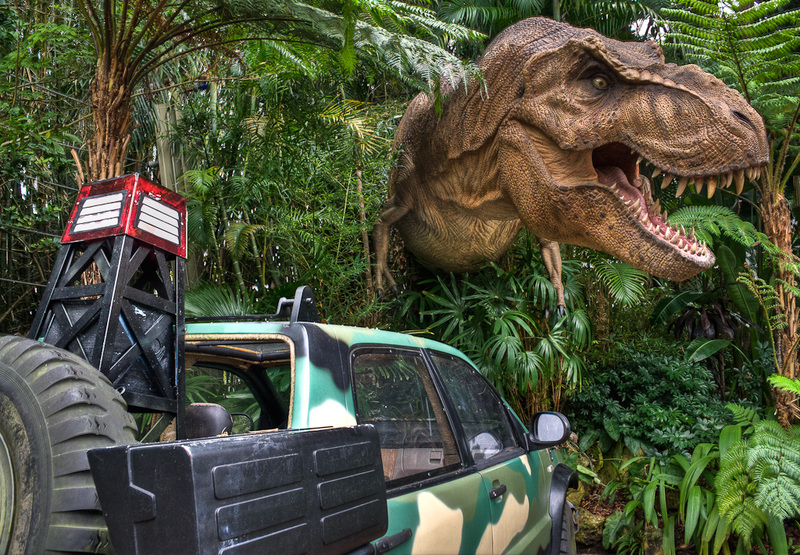 At Universal Orlando Resort, there are some things you may or may not have known about our Jurassic Park, located in Universal’s Islands of Adventure theme park. 1. The Jurassic Park Discovery Center is modeled very closely to the “Welcome Center” in the original film. 2. The Jurassic Park jeeps available for photos are the actual jeeps from the first movie. 5. Inspired by John Hammond’s grandchildren, Lex and Tim, we created Camp Jurassic. In Camp Jurassic, you can explore Amber Mines, discovering insects carrying Dino DNA, battle with water cannons on Dilophosaur Paddock, and venture into caves that hold prehistoric secrets. You can even get a Pteranodon’s view of the prehistoric as they glide gently through the air on Pteranodon Flyers! 7. Want to come face-to-face with a raptor? Well, you’re in luck (or possibly unlucky)! You can now get up close and personal with the famous dinosaur at the new Raptor Encounter. Are you brave enough?